Jeddah Police coordinated with the Labor Ministry and the Security Department in intensified inspections to arrest illegal expats. The Jeddah Police backed by the Ministry of Labor and Security Department teams has intensified its inspection campaign to weed out illegal foreign workers in the city and adjoining towns by checking on their legal status. The joint inspection campaign started with security forces conducting search operations following tip offs from the CID and other security organs. “The Jeddah Police has arrested 41,053 illegal expatriates in the last three months in a special campaign aimed at apprehending violators of the Kingdom’s labor and residency regulations,” said Lt. Aati Al-Qureshi, spokesperson of the regional police headquarters on Monday. He said Jeddah Police has participated in 6 joint inspection campaigns and also conducted 12 special inspection campaigns to eliminate illegal expatriates in the same period. He said in a statement that the police have raided several specific locations in Jeddah harboring illegal workers including street vendors and beggars. 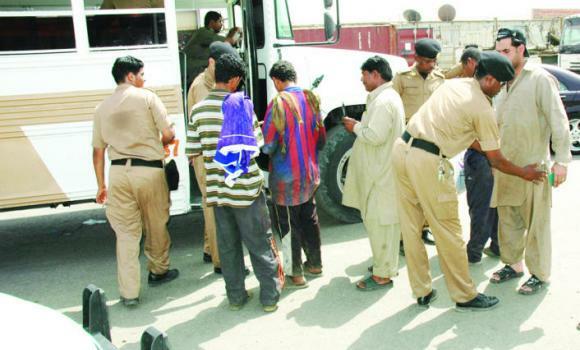 Al-Qureshi also said that 2,154 beggars including women and children had been arrested in addition to 27 wanted persons. He added that the arrests included 252 street vendors in different parts of the city. The official said that 37,620 expatriates were arrested for working for sponsors other than those stated in their work permits during the same period. All those arrested have been referred to concerned authorities for further action, he said. Al-Qureshi also urged people to support the police in its campaign to eradicate illegal residents from the city by calling 999. Sources said that an increasing number of expatriate violators were being shifted to the deportation center in Shumaisi near Makkah and that the volume of workers arrested was growing.